Today is January 13, the birth date of Melvin Jones, the founder of Lionism. Lions International President Joe Preston invited every Lions Club to commemorate this important date with a service project supporting one of the centennial service challenge areas: strengthening vision, empowering youth, relieving hunger, and preserving the environment. January 13th is situated in the middle of week of January 10-16, designated as Lions Worldwide Week of Service. As a member of the Fargo Lions Club, I was pleased when club members accepted the invitation to honor Melvin Jones this week by gathering canned goods and money to support the local Food Pantry. 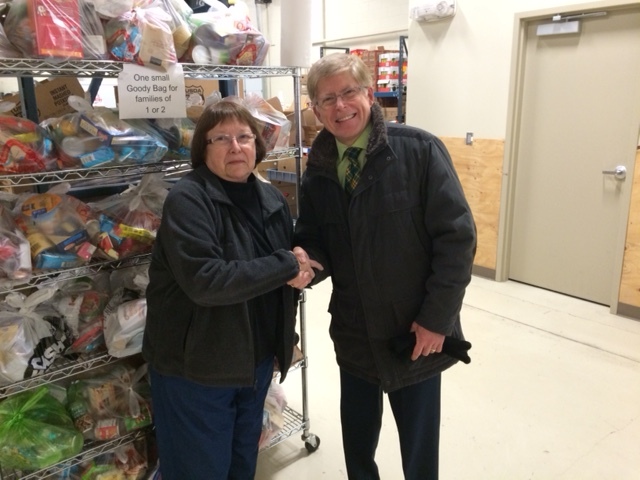 It was my pleasure to deliver the food and funds to the local volunteers at the Pantry this week. The Fargo Lions also scheduled a pre-school vision screening this week as a centennial service project focusing on vision. Fargo Lion PDG Lion Mel Olson is one of the leaders for the statewide program underway in North Dakota. In addition to the gathering of food and funds to relieve hunger, my personal attention over the past few weeks has been on another project empowering youth. I volunteered to be tournament manager for the 21st Annual PMJ-Shanley High School Debate Tournament that was held on January 9-10. Being able to serve the high school debate community and give back to the forensics program that has provided generations of Shanley students the opportunity to showcase their speaking and critical thinking skills was really enjoyable. Many of the coaches and judges who brought their students to the tournament are members of the Dakota National Forensic League Lions Club. It was a treat to be able to see my former debate students and to work side by side with the coaches and local hosts to watch the students succeed. 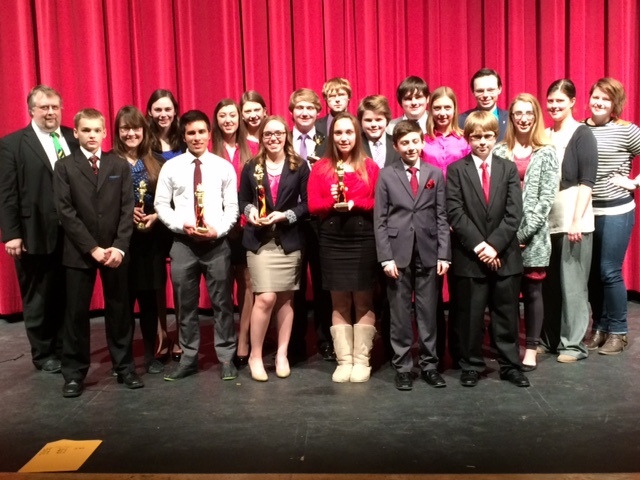 Pictured here are members of the Shanley/Sullivan Debate Team. Lion Brian Geffre (far left) and Lion Jade Monroe (far right) are assistant coaches for Shanley. Kathy and I will end this Worldwide Week of Service representing Lions Clubs International at the District 5M-1 convention in Rochester, MN. We are looking forward to meeting the Lions of District 5M-1 and spreading the good word about Lionism. In closing, thank you to all Lions and Lions Clubs for doing their part during the World Wide Week of Service to honor Melvin Jones. Our founder serves as an outstanding example of what one committed person can do to make a difference in this world.